Artistic Director of the Toronto-based dance company inDANCE, Hari Krishnan is a dancer, choreographer, teacher and dance scholar specializing in both traditional Bharatanatyam as well as its contemporary abstractions. Trained in the dance and music traditions of the Thanjavur Quartet, Krishnan has inherited and reconstructed several vintage temple and court dance genres and compositions under the tutelage of his Guru the late K P Kittappa Pillai. He continues to train in the traditional Thanjavur court repertoire from Gopalakrishnan Pillai and K Chandrasekaran. Krishnan also receives specialized training in temple-dance repertoire from P R Thilagam, the last surviving member of the hereditary female dance community from the Tiruvarur temple in South India. In addition, Hari Krishnan is the only dancer to have inherited the entire repertoire of the Viralimalai temple tradition from R. Muttukkannammal, the last devadasi to have been dedicated at the Murugan temple in Viralimalai. Krishnan conducts ethnographic fieldwork on a regular basis in South India. Hari Krishnan holds a Master's degree in Dance from York University (Toronto). His Modern Dance training includes classes with the Royal Winnipeg Ballet, the School of Toronto Dance Theatre and the Singapore Ballet Academy. He is the recipient of numerous performance and training grants from various arts councils. He has also been the recipient of several choreographic grants from various arts councils. His research areas include colonialism, post-colonialism and Indian dance, globalization and the arts of India, modernism in Bharatanatyam and the history of devadasi dance traditions in Tamilnadu and Andhra Pradesh, South India. While Krishnan's dancing is characterized by clarity and precision of movement and intense emotive engagement, his creative output is holistic, combining the allied arts of Bharatanatyam dance, music, theatre and theory with contemporary, urban, post post-modern culture. Krishnan's earliest choreography was presented in Singapore in 1988, and since then, continues to draw critical acclaim in Canada, the United States of America, India, Malaysia and Singapore. Krishnan's choreography has been set upon dancers of Indian, Modern, Malay, Indonesian, Chinese and Ballet disciplines. 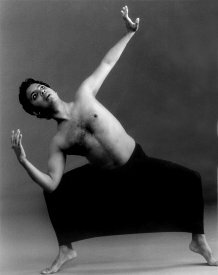 In 1997, Krishnan was also the first Canadian dancer to receive a grant to choreograph a piece on an Indian dance company - Anita Ratnam's Arangham Dance Theatre - in India. Krishnan's choreography has been featured in several festivals and venues. In Toronto, he imparts training at the Tanjavur Dance Centre, an institution he founded in 1997. In addition to training students in Toronto, Krishnan is also Professor of Dance at Wesleyan University's Dance Department where he teaches courses on not only traditional Bharatanatyam dance technique but also lectures on the post colonial experience as well as on the global contemporary manifestations of South Asian dance. In Chennai to work with dancer/choreographer Anita Ratnam for their second collaborative effort SEVEN GRACES …into aesthetic realms of Goddess Tara, Hari Krishnan speaks about the work which will have its world premiere on August 17 & 18, 2005 at Sri Krishna Gana Sabha. How did the collaboration between you and Anita Ratnam come about? Is 'Seven Graces' inspired by the exhibition of female Buddhas at the Rubin Museum or was the production already in an advanced stage of planning before it? The work is a result of our 9 year friendship, a constant search for experimentation and infusing contemporaneity into our art and mutual admiration of each other's work. 'Adhirohana' was the first phase of our artistic collaboration. With 'Seven Graces,' we have expanded our collaborative process, further exploring new frontiers of dance, sound and light. On what basis did you choose the seven Taras to portray out of twenty one? Why have you chosen seven as your number? What is the significance of these 7 Taras? The title is a reference to (white) Tara's 7 eyes (2 +1 third eye on her face, 2 on her palms and 2 on the soles of her feet). Born from a single tear shed by the Buddha Avalokiteshwara, on seeing the sadness in the world, she was blessed with so many eyes to facilitate her being able to see in every direction that a devotee is in need and hasten to their rescue, hence Tara is compassion personified...for our work we're abstracting from a composite of all the 21 Taras, and elaborating mostly on the 7 that fit our story's content in terms of emotional, spiritual and physical characteristics. We're merging the similarities between the Christian Virgin Mary and Tara to tell a more universally accessible story. Our staging is based loosely, on our adapting Tara's story to the Hindu concept of the 7 chakras in the 'cosmic' human body, i.e 7 segments/chapters; 7 fluid languages in the dance vocabulary; 7 sound/scapes; 7 color lightscapes; 7 color/piece costume montage; 7 color prayer flags and wind horses as props/stage design etc. As a choreographer and collaborator, how did you approach the work? It is deliciously exciting to work with Anita after 8 years. SEVEN GRACES has been a particularly challenging kinetic solo that we have evolved collaboratively. I am always intrigued to reassess the representation of the Indian dancing body in the evolutionary and arbitrary schema of "East and West". SEVEN GRACES is NOT a literal retelling of Tara and her attributes. We have merely used the Tara theme as a point of reference - a subtle backdrop against a rich landscape of purely abstract movement, stemming from various sources. The rich mythology of the Goddess will be presented in a new, experimental vein, pushing the parameters of narrative expression and architectonics of movement. For the music you have used Tibetan choral notes, jathis, spoken syllables as well as a bit of opera music. Won't the opera segment stick out? The global music (like the choreography) is extremely eclectic and universal, so the operatic voice at the end will not be jarring. The entire work is edgy and experimental. We have deliberately chosen not to work with any text, slokas etc. The abstraction of working with a global soundscape will give added richness to the various themes we are exploring in this work. Text will inhibit and limit the choreography in this piece and may dictate how the work should be framed. We wanted to work to have a loose (less rigid) framework so that the experimental movement vocabulary becomes more obvious and fluid. Like all contemporary works of art, the audience is free to extrapolate, interpret and infer/attach their own meaning to what they are seeing and hearing. Do you plan to use any significant props or does the dance speak for itself? Do you think the audience will find it easy to comprehend what you wish to convey? I intentionally wanted the work to be performed without any use of props. I feel the rich movement vocabulary and emotional intensity will be sufficient for the work to be carried through. Props used for this work will distract from the lush imagery of the dance. Furthermore, with props, there may be a possibility of the audience attaching culture specificity to the dance. I do not want to take away from the universality of the work. I also would like to stress that when conveying the work to both Indian and international audiences, please emphasise Seven Graces is a slow, tranquil, stark, minimalist and meditative contemporary work so that the audience does not enter the theatre with any preconceived ideas/notions of Indian exotica, classical Bharatanatyam presentation, glamour, razzle dazzle etc!! To quote Anita, "Seven Graces is the most minimalist work I have ever danced."